Biking or walking to work is not just a healthy choice for commuting—it’s free! The added exercise gives you time to collect your thoughts and feel energized for your workday. You can also find a bike commuter to join you using our myCommuteSolutions tool. Route Selection is key to feeling safe on your ride to work. The safest and most enjoyable route for you to take on your bike is probably not the route you would use when driving your car. Generally, avoid streets on busy bus routes. Playing leapfrog with a bus is not only irritating but potentially unsafe. Alleys make bad shortcuts, known for poor surface conditions and unpleasant odors. And drivers are not looking for a bicycle to come out of an alley on to the street. The Austin Bicycle Map is a great tool for route selection because the streets are color-coded based on factors like traffic volume, availability of shoulders or bike lanes, and incline. Other bicycle commuters are also a great resource. Ask people for their suggestions! Visibility is about wearing reflective clothing, using those blinking lights, and positioning yourself while you’re riding to increase the probability that drivers will see you. At intersections, stop behind a car where you can see the driver’s face in the driver's side mirror. In addition to ensuring that the driver can see you, that position also makes you visible to cars on the opposite side of the intersection who might otherwise not see you before starting a left turn through the intersection. Following the rules of the road will possibly have the greatest impact on your overall safety. If you don’t already know the Texas bicycle laws, please take the time to learn them before you start riding in traffic. Several local organizations provide traffic cycling skills courses and resources to refresh your knowledge of road rules. Do I have to ride my bike/walk the entire distance? NO! “Multi-modal transportation” describes the practice of using two or more forms of transportation to get to your destination. You could drive part of your trip to work and bike the rest of it. Over time you could gradually drive less, increasing the distance you ride to work, and eventually bike the entire way. Another option is to use the bus to transport you and the bike part of the way. Start slow. There’s no need to kill yourself when you start. Even if you’re already in good shape, cycling uses different muscles than other exercises, and your body will need time to get used to the new types of stress. Start out nice and easy, enjoy yourself, and progress gradually. Begin with a couple of miles and do them nice and slow. Have fun! Be safe. Cycling can be dangerous, especially if you’re on the roads with all those crazy drivers out there. In the beginning, stay within your comfort zone. Ride during daylight hours, follow traffic laws, always yield the right of way, wear bright colors and reflectors, and wear a helmet. 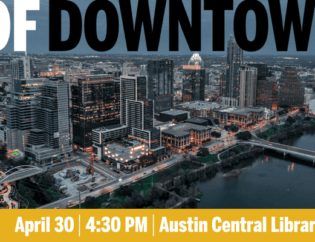 If you want to take a super comprehensive, short (3-5 hours) class that will prepare you for riding in traffic, teach you how to change a tire, and so much more, check out the Austin Cycling Association Traffic Skills 101 Class. Your safety and well-being are worth every penny! Helmet. Don’t ever ride without one. It can mean the difference between a bad headache and being a vegetable. Make sure it fits well (see this guide for tips on that, along with other equipment needed to get started). Water bottle. Get one with a cage that attaches to your bike. Regular bottles don’t fit in this cage, btw. An alternative is a hydration backpack. In central Texas, it doesn’t take much to really get dehydrated, so whether you’re riding 3 miles or 30, it’s a great idea to tote some water along. Pump. A portable pump that you attach to the bike is necessary in case you get a flat or a slow leak. Walking your bike back home can turn a short jaunt into an hour-long ordeal. A floor pump is good to have at home for easier pumping, but isn’t at all necessary. Gas station pumps work great unless your valves are incompatible (converters are cheap and easy to come by). Repair kit. Eventually, you will get a flat. A simple repair kit includes a patch kit, a spare inner tube, 2 tire levers, and a multi-tool for bikes, all in a small bag that attaches to the bike. However, a kit is useless if you don’t know how to change a tire. It’s a simple skill every cyclist should know. What are the rules of the road for cycling? While cycling is fun, it carries some risks. As you transition into regular bicycle riding, following a few simple guidelines will help keep you safe and outside the reach of the long arm of the law. Ride with traffic, not against it. Even though it may not feel like it sometimes, the bicycle is a vehicle under Texas law and must be operated as such. Always stay on the right side of the road. Obey all traffic laws, regulations, and signals. Cyclists have all the rights and duties that drivers do. Always yield to pedestrians. Ride Defensively. Expect the unexpected—particularly at intersections. Don’t assume motorists see you—make eye contact before you make a move. Watch out for parked vehicles pulling into traffic, and always watch for car doors opening in your path. Use extra caution making left turns. It is perfectly legal to make a pedestrian left: continue straight across the intersecting road, obey the traffic signals, turn left at the corner, and proceed as usual. Bicyclists may also dismount and walk in the crosswalks of the two intersecting roads. If traffic control devices specify the method of crossings, those directions must be followed. Signal all turns and stops. Hand signals help you communicate with motorists, just like vehicle turn signals do. Lights are required at night. Texas law requires that all bicycles on the road between sunset and sunrise must have at least one white headlamp visible at least 500 feet to the front. To the rear, either a red reflector(visible from 50-300 feet) or a red light(visible from 500 feet) is required. A flashing light is recommended due to its higher level of visibility. Riding on sidewalks is dangerous! Seriously, sidewalks are for pedestrians. Additionally, on certain streets in Downtown Austin and in University areas, riding on the sidewalk is illegal and may result in a citation. Remember, bicyclists travel at a greater speed and have less ability to maneuver than pedestrians, so crashes with pedestrians (which can be deadly) are more likely to happen on a sidewalk than off. Bicyclists riding on sidewalks often ride facing traffic and enter onto roadways, surprising motorists who do not expect to encounter bicyclists on sidewalks, so they don’t look ahead for bicyclists when turning in and out of driveways or side streets. Yield to vehicles on the roadway if you cross the street at a place other than a marked crosswalk or pedestrian tunnel or crossing. If you’re hit while jaywalking, the driver may not be liable and his or her auto insurance may not cover your injuries. Stay on sidewalks and the right-hand side of crosswalks. Drivers are supposed to yield the right-of-way to pedestrians in crosswalks. If the road has no sidewalk, walk on the left side of the road, facing traffic. To connect with potential bike buddies, log on to myCommuteSolutions.com and create a profile to use the free matching service. Learn about the types of bikes and equipment you might need at REI’s bicycle guide. Discover the places that are “just a short walk” from home or work at Walk Score. The tool is also great for exploring the neighborhood and places to visit. Some savvy car-free transit riders use the site to simplify errands by choosing the routes and stops that allow them to walk to the greatest number of tasks. Enter your commute and vehicle information to get your monthly cost for commuting. It might be more than you think! Our carpool matching and trip-planning tool, myCommuteSolutions, has an easy tracking system through the commute calendar. This tool is free to both individuals and businesses and enables users to track cost savings, calories burned, fuel saved, and pollution reduction. Not sure what options are available for you in your area? Check out Commute Solutions own Ride Guide detailing the specific services, apps, and companies offering you easy commuting resources.